A wide range of industrial sectors today is still organized in a fixed combination of fixed linear sequences of operations where manual and automated tasks are repeated in the same way each cycle time in the most suitable and optimized way. This paradigm is very efficient when the production is set to the maximum capacity (usually for most products this is limited to a relatively short period following the SOP ) and considering no halt situation due to technical problems, but very inefficient in case of dis-saturation of the lines. Even the most flexible among production lines is still based on the same sequential hierarchical paradigm since flexibility is declined as the possibility to mix in the same plant different but still sequential processes for different variants of the products. 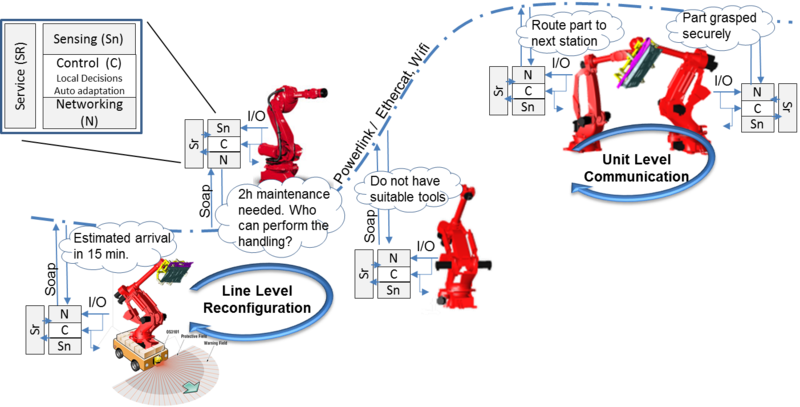 AUTORECON aims at introducing a radical change in the paradigm: in the same plant the sequence can be changed by introducing autonomous production/handling units which can change task (from joining to handling and vice versa) and position (around the shop floor), eventually cooperating among themselves, based on current process sequences, nevertheless having always the possibility to recover eventual failures to any Robot/Tool by switching position/job, auto reconfiguring themselves, the tools and the line to answer quickly to the stop of production and reducing losses as much as possible. 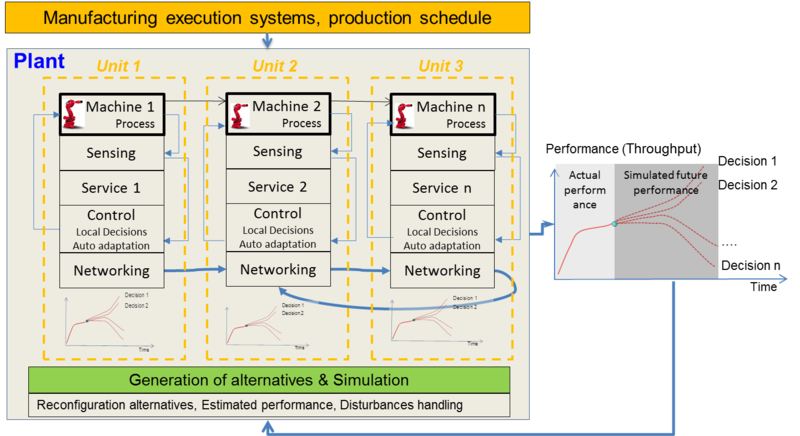 Reconfigurable “Transformers” like tools that will enable autonomous flexible assembly equipment to easily adapt production process to process disturbances and market variations, integrating novel actuators (e.g. magnet based) & WSN (Wireless Sensor Network). 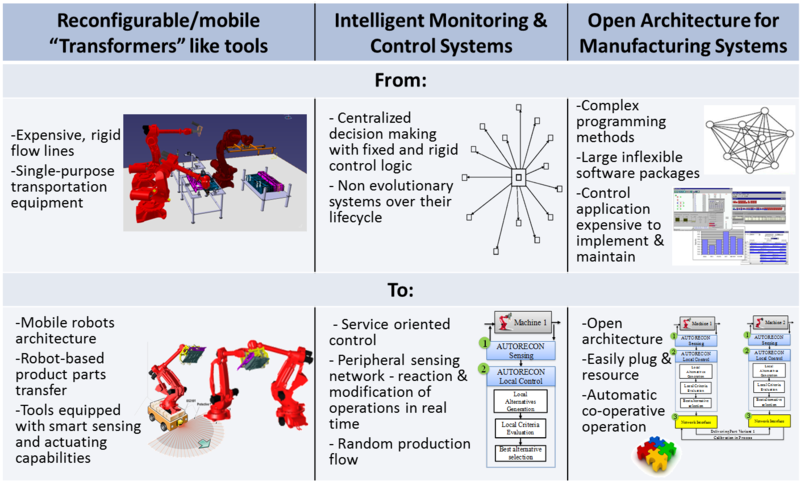 Intelligent Control & Monitoring systems enabling enhanced performance and high level re-configurability of production processes using distributed controls (peripheral & centralized), and open architecture (e.g. ROS, Linux based, C4G Open controller) linked to information from sensors.